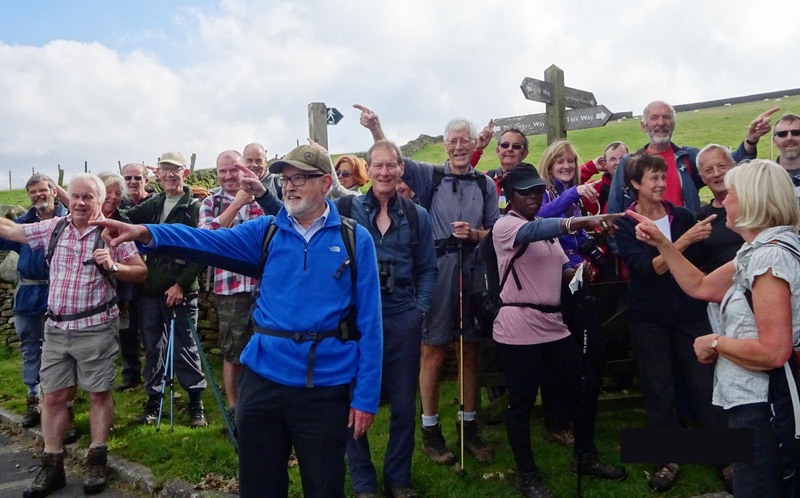 On Wednesday September 30th, as part of the Bollington Walking Festival, David Gylee led a long and strenuous walk from Bollington to Macclesfield Forest and back. Twenty-four walkers set off initially from the bus terminus in Bollington and along Oakenbank Lane following the bridal path to Rainow. From there a steep climb past Snipe House Farm took the group to a fine vantage point overlooking the Cheshire Plain. The walk then continued via Walker Barn before eventually reaching Macclesfield Forest. Macclesfield Forest, now owned by United Utilities, was once part of the large Royal Forest of Macclesfield, an area owned by the Earl of Chester that stretched from the Pennines to the Staffordshire Moorlands. Large areas of the forest have been clear felled with the ultimate aim of replanting with native broad leaves. Having lunched by the side of Bottoms reservoir, the group returned to Bollington along the Gritstone Trail, stopping for interest at Teggs Nose, and White Nancy. At the summit of Teggs Nose are the remains of Quarry workings which until 1955 provided good quality building stone, evident in many local buildings. 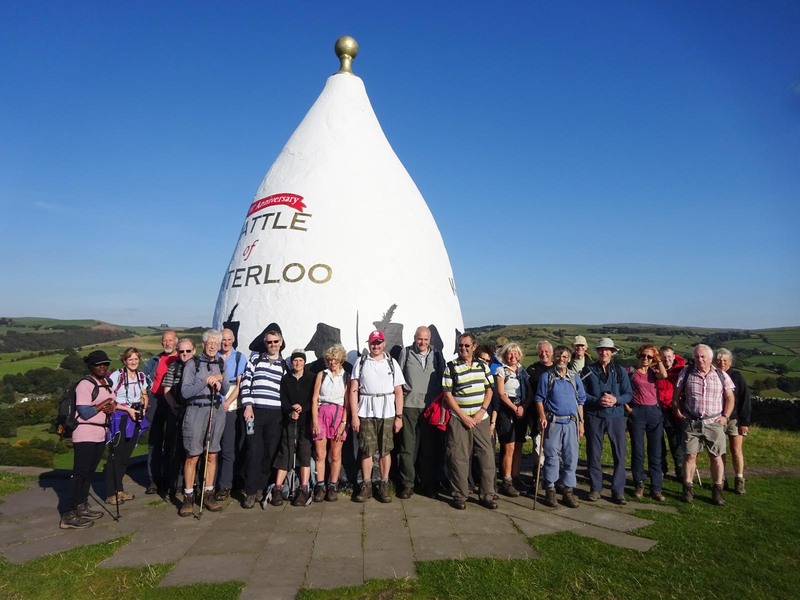 White Nancy, overlooking Bollington was built by the Gaskell family in 1820 to commemorate the 1815 Battle of Waterloo and on the walk the group enjoyed seeing the current decoration of soldiers from that battle, now 200 years old. 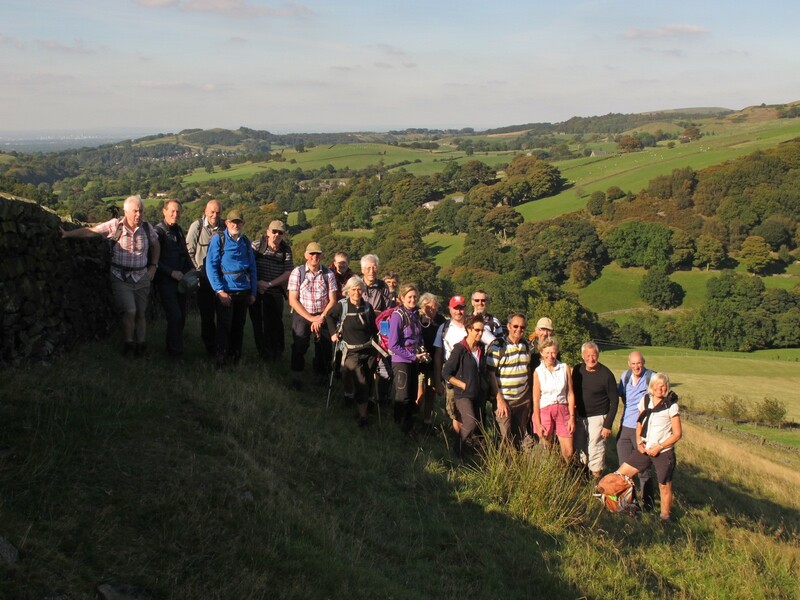 Although a long and strenuous walk on this occasion, East Cheshire Ramblers provide leaders for walks of different lengths and intensity, on a variety of weekdays and weekends throughout the year.